We have known for several months that Disney is preparing its own streaming platform to compete with Netflix. Today, we know more about this subject since Disney has revealed the date of release of its service but also the price. Disney+, that's its name, is therefore Disney's streaming platform. The service will be available from September 12 in the United States and the subscription will be charged at $6.99 per month. The company confirmed that the platform will only be financed through subscriptions and that there will be no advertising. Kevin Mayer, Chairman of the Company's Board of Directors, said a discounted bundle with Hulu and ESPN+ services was under consideration. Disney offered a first overview of the service: the interface looks like any other competitor with main banners that highlight certain titles, content categorized by category and also according to what you have watched. Disney also confirmed that all content will be available for downloading for offline viewing. But what content will we find on Disney+? We will find different sections with films and series from the worlds of Disney, Pixar, Star Wars, Marvel and National Geographic. 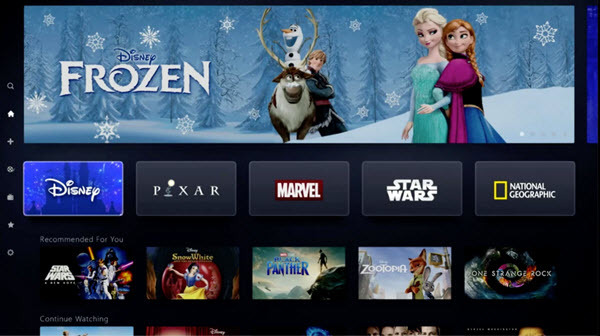 Disney+ will rely on the large list of films already released but not all will be available at the launch of the service. While the release date of Disney+ is already known for the United States, the rest of the world is still in the dark. 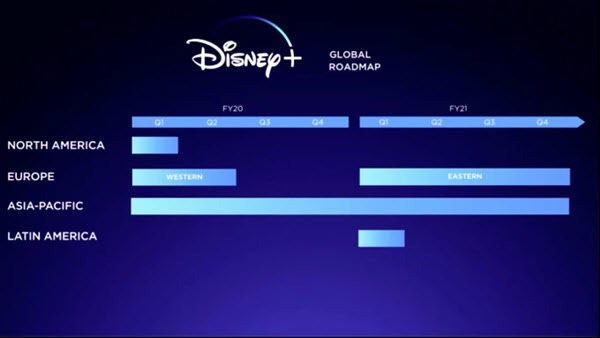 According to Disney's roadmap, Western Europe could see Disney+ arrive in the first quarter of 2020, but we are not immune to a potential carryover. PotPlayer is a media player is a complete media player that will allow you to play most video formats. Lightweight and efficient.